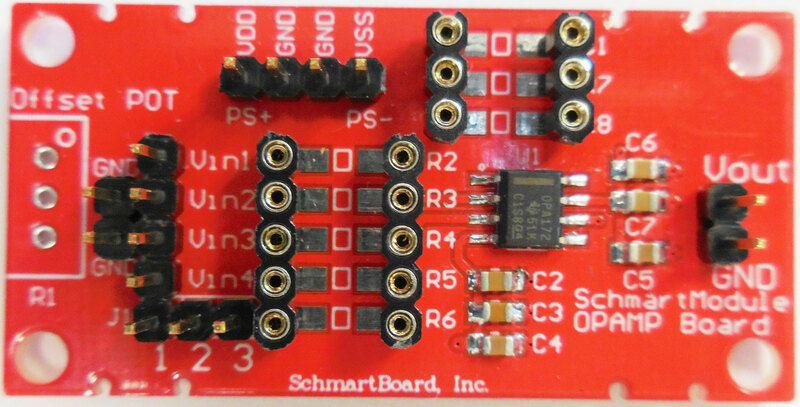 Schmartboard has released the first 4 in a family of analog modules. More to come soon! The instructor who wants tools to teach analog to his students. RLC Divider Board - The RLC Divider board was developed to easily implement passive filters and various R, L and C networks. Level Shifter Board - The Level Shifter board is designed to interface I2C or SMBus signals between devices with different VDD voltages. OpAmp Board - It uses an OPA172 operational amplifier whose main features make it very suitable for experimenting. Active Filter Board.- Applications for the Active Filter Board include being used as an anti-aliasing filter for A/D conversion or as a reconstruction filter after D/A conversion.